Roofing is one of the most important concerns that any homeowner has to face, and the choice often comes down to asphalt shingles or metal roofing. Both have their relative advantages and disadvantages of course, and this comparison article seeks to get to the bottom of them. Asphalt shingles or composition shingles as they are sometimes known, are composed of a fiberglass mat core with a crushed rock embedded asphalt coating. This makes asphalt shingles more flexible as well as providing a greater degree of fire resistance. Asphalt shingles are very poplar choices for roofing materials, since they have the advantage of low cost and a wider variety of design options. 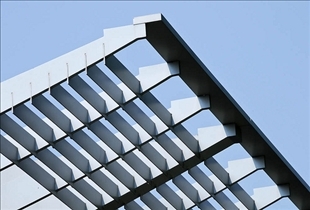 Metal roofing is typically made of steel, and they are best suited for areas that are prone to high winds. Since they are quite a bit lighter than asphalt shingles, they exert a lot less stress on the structure of a house. In fact, the typical metal roofing material weighs about 1/7 the weight of asphalt shingles. Asphalt shingles are quite easy to install, and all that is needed is for a qualified workman to follow a few basic guidelines. This will ensure a tight fit all around. Installation of asphalt shingles doesn't actually require very much in the way of training and/or experience, and the task itself requires only a few simple tools. Asphalt shingles also have a relatively long lifespan ranging from 15 to 30 years. Metal roofing on the other hand offers the advantages of better resistance to fire. This has a further benefit in that it may get you a lower insurance premium for your home. If you think about it, a brick house that utilizes metal roofing is after all more likely to withstand an external fire than a similar house made with wooden shingles. Metal roofing also has a longer lifespan than asphalt shingles, with many manufacturers offering guarantees of fifty years and possibly even longer. Asphalt shingles are generally cheaper than metal roofing, although their actual cost may depend on a number of other factors as well. The most basic types of asphalt shingles are the lowest priced, also these are typically quite plain in appearance. Some of the pricier models are noticeably fancier, and some may even incorporate a "3-D" look. There are even some asphalt shingles that approximate traditional cedar shake shingles. Metal roofing usually costs about 30% more than asphalt shingles. This is because they are built of far more resilient and durable material. While this initial cost may be off-putting for some, metal roofing does have the advantage of a much longer lifespan than asphalt shingles, so the cost will balance out over the years. Which roofing material is a better value? You made some great comparisons in your article. I have to say that when I was replacing my roof, I went with metal roofing materials after doing a lot of research. I was able to find all the information I needed at the McGraw-Hill website. While I do work for them, they honestly offer the most complete directory I have seen and all of the important information you need before getting started. I particularly love the amazing CAD details that you can download directly from their site. You should take a look. Roofing Materials source reason is that they can give the good idea it. with the affordable price and also it would be suitable for all peoples.I like the concepts. 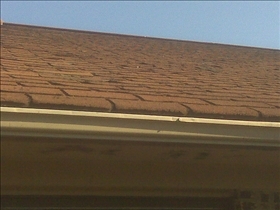 Thanks for sighting the difference between the two shingles. There are a lot of roof shingles to choose from today. It depends on your choice what you are going to use for roofing.